Includes an interview with Brenda Maddox, the world's foremost biographer of Rosalind Franklin and author of "Rosalind Franklin: The Dark Lady of DNA". Also includes and interview with Dr Pamela Björkman, the Max Delbruck Professor of Biology at the California Institute of Technology, and an Investigator at the Howard Hughes Medical Institute. Directed by Michael Hackett. Recorded at the Invisible Studios, West Hollywood. 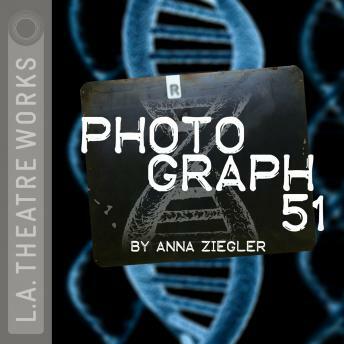 Photograph 51 is part of L.A. Theatre Works’ Relativity Series featuring science-themed plays. Major funding for the Relativity Series is provided by the Alfred P. Sloan Foundation to enhance public understanding of science and technology in the modern world.